There comes a time in every Nexus device's life when it must leave the Play Store. 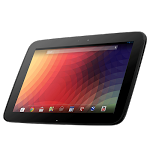 For the Nexus 10, that time began earlier this week, when reports began surfacing that the tablet may be permanently out of stock (from the US Play Store, anyway). Since then the device's availability has flipped from available to "out of inventory" again and again, but at the time of writing, the original 10" Nexus' 32GB variant has been out of inventory in the US for two days (since January 16th), meaning we likely won't be seeing it again. The 16GB flavor, as readers probably know, has been out of stock since October. With rumors beginning to kick up once again, it's easy to assume we'll get a hot new Nexus 10 soon, but it's important to note that Play Store availability shouldn't be taken as a definite indicator of an impending release. There's no denying that the Nexus 10's entry into "out of inventory" limbo will add fuel to the fire, though (no matter who the manufacturer really is).